YEREVAN–The Armenian Genocide Museum Foundation and the Munich-based Institute for Armenian Studies announced this week that in cooperation with the Armenian National Academy of Sciences a symposium will be in April to mark the 85th anniversary of the Armenian Genocide. The academic symposium–entitled "The 21st Century Without a Genocide," is scheduled to be held in Armenia from April 21 to 23. 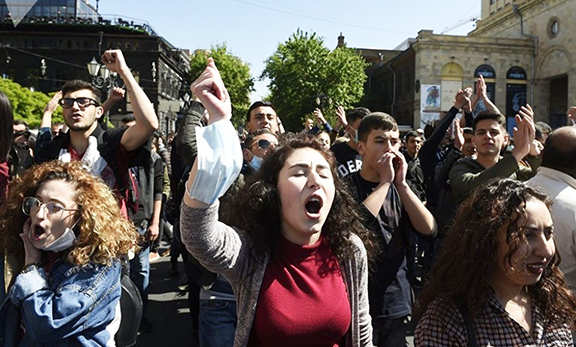 In an announcement the two organizations stated that soon a cooperation agreement will be signed between the two–following which a joint effort will be launched for the international recognition of the Genocide and the formulation of strategies to address that issue through cooperation with organizations in Armenia and the Diaspora which involve themselves with the pursuit of the Armenian Cause. This new effort comes of the heels of an announcement last week by Institute for Armenian Studies which outlined plans for a project to list the victims of the Genocide.